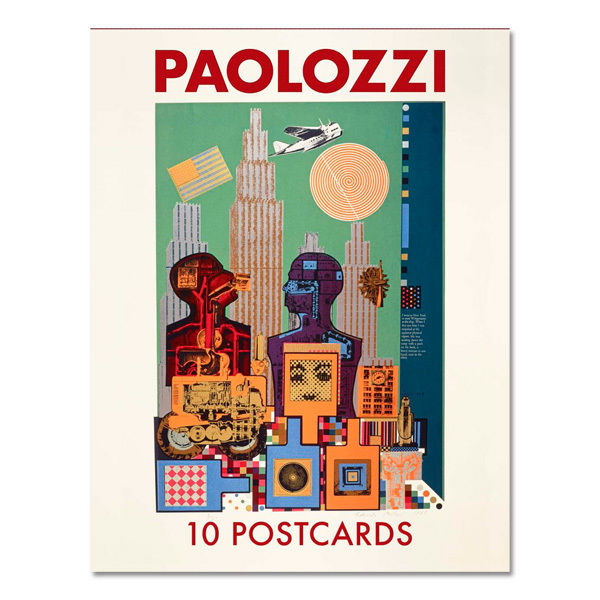 A special offer of the smartly illustrated I want to be a Machine exhibition book and Paolozzi pack of ten postcards. The exhibition I want to be a Machine combines the work of two exciting artists to illustrate their work showing how they captured images from photography and advertisements. 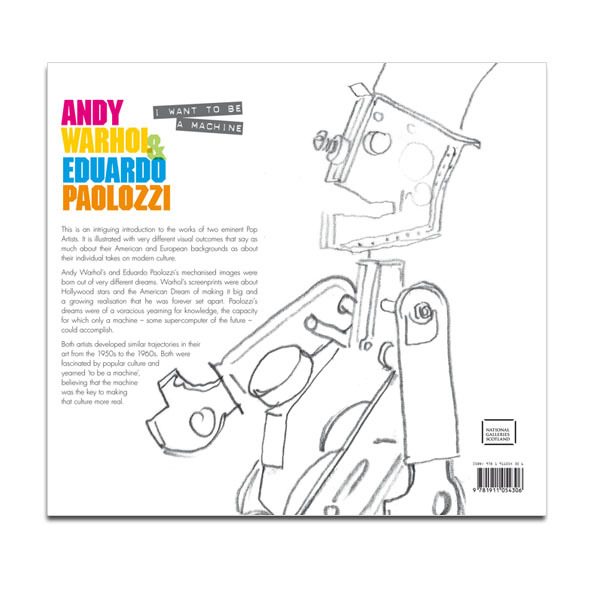 A 36 page colour illustrated book offers a fascinating compare-and-contrast examination of Andy Warhol and Eduardo Paolozzi. 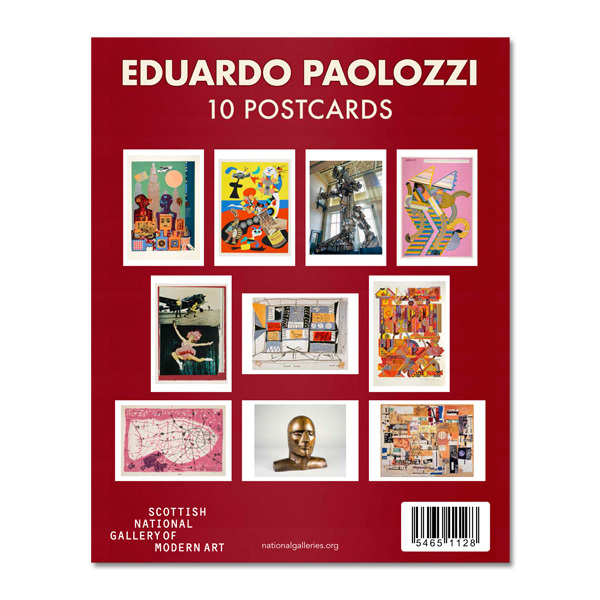 Alos included is a pack of ten postcards, sealed with a paper slip case cover, featuring ten different artworks by Eduardo Paolozzi part of the Scottish National Gallery of Modern Art Collection such as Wittgenstein in New York, Sack-o-sauce, Vulcan, Take-off, Marine Composition and more. Classic enamel mug featuring I want to be a machine declaration by Andy Warhol. This handy and colourful tote bag is perfect for carrying things around town. 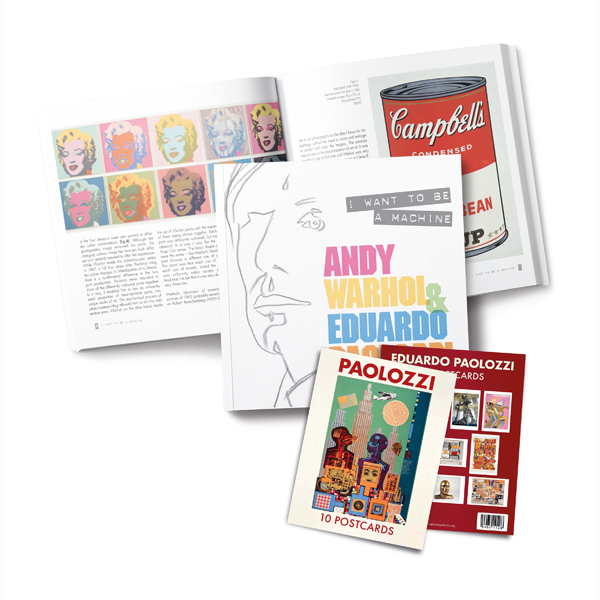 Made of sturdy canvas, it features the collaged artwork Metalization of a Dream by Eduardo Paolozzi. 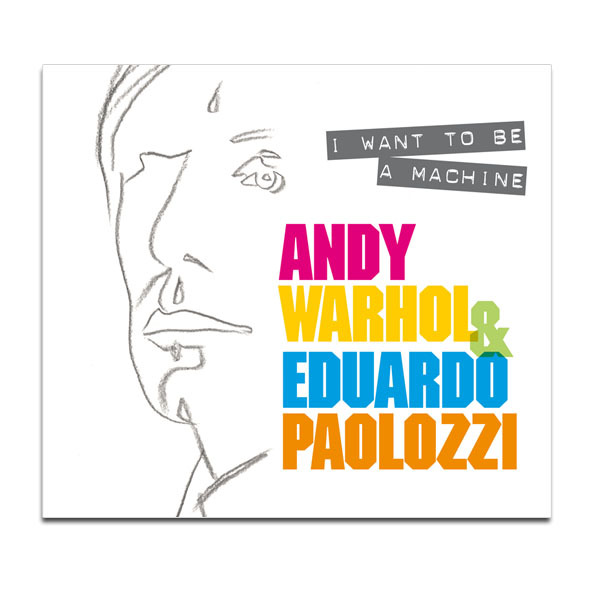 Single greeting card featuring quote by Andy Warhol 'Art is what you can get away with' over Self-portrait, 1963.